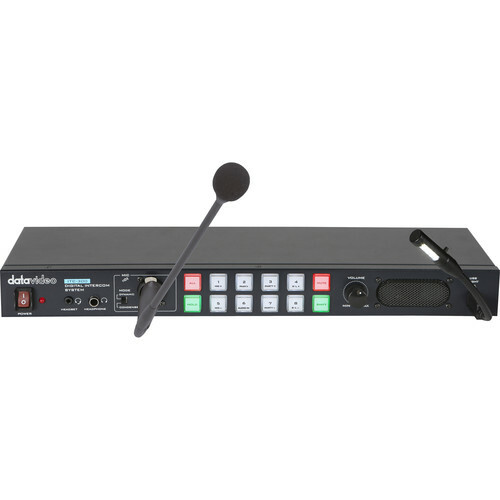 One of the innovative features of the rack-mountable ITC-300 Digital Intercom System from Datavideo is that it can use headsets ranging from low-cost cell phone headsets to high-quality professional units. Up to 8 users can be connected to the ITC-300 via PTT wired beltpacks. The base station features all call and mute buttons, a mic input, built-in speaker, and standard headphone jacks.